The Llareta is a flowering plant as much as 2,000 years old. I am about to celebrate one of my big birthdays and today was a mix bag of events. It started with a premature but a lovely morning tea birthday party from fellow staff. We ate ice-cream cake. Weird, but ok. The morning tea was followed by a reprimand from my ordinary boss, he was throwing a tantrum that is not worth mentioning. Then, I caught up with special friends from PNG during the course of X-rays and scans and medical tests leading to my doctor at 2pm, telling me, I must have surgery. I decided to return to work after the doctor’s visit and take a deep breath and keep going until the end of the day. I have left that day and I decided that I will forget everything ordinary that happened. I only want to remember the extraordinary things and prepare a huge party for my birthday next week. And speaking of ageing, you may know, I enjoy art, reading and writing when I am not outdoors. I have been working on some art projects and looking at art. I found an interesting story about an artist who documented old things from around the world in the last ten years. I am not posting this because I am getting old, it just happened to be something I unexpectedly discovered and somehow, it made sense to link it to age. Aged things always interest me and it was part of my purpose in completing a Masters programme in Museum Studies. Rachel Sussman is a contemporary artist based in Brooklyn. Her photographs and writing have been featured in Smithsonian in The New York Times, Wall Street Journal, The Guardian, and NPR’s Picture Show. Her book The Oldest Living Things In The World sells for $1500 per copy. THERE IS SOMETHING about extreme age that fills us with awe. It’s hard not to feel it, when standing in the presence of a huge eucalypt that has raised its branches to the sun since long before European settlement. Or when watching the silent majestic form of an immense whale, which has outlived several generations of humans, glide through the dark blue. Sometimes it takes a little more intellectual investment to find that awe, like when staring at a grey-green patch of lichen that grows just one centimetre every century and which has weathered the harsh climate of Southern Greenland for more than 3,000 years. “In thinking about the natural sublime and awe and that sort of thing, a lot of it is tied to scale and to time,” says Rachel Sussman, a New York-based contemporary artist who has spent 10 years researching and photographing some of our planet’s oldest living entities. 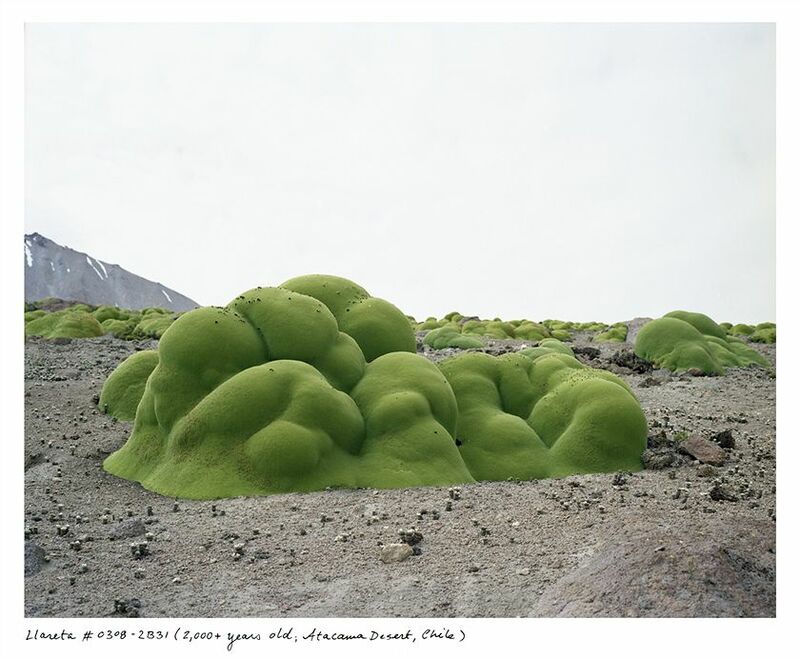 Sussman has taken an extraordinary series of photographic portraits, published in her book The Oldest Living Things In The World. Thank you very much lewa. Monday PN – but thank you. Lewa sis , thinking of you, take care! Hey Pasi – lewa tenk yu. Are you coming to my party? I sent you a msg. Some people, I’ve heard, have birthday ‘weeks’ or birthday ‘months’. Can you imagine: Woo hoo. YES! what a fabulous idea. I may do a random, scattered and all-year event of it, why you do think?